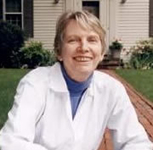 Lois Lowry is known for her versatility and invention as a writer. She was born in Hawaii and grew up in New York, Pennsylvania, and Japan. After several years at Brown University, she turned to her family and to writing. She is the author of more than thirty books for young adults, including the popular Anastasia Krupnik series. She has received countless honors, among them the Boston Globe-Horn Book Award, the Dorothy Canfield Fisher Award, the California Young Reader’s Medal, and the Mark Twain Award. She received Newbery Medals for two of her novels, NUMBER THE STARS and THE GIVER. Her first novel, A SUMMER TO DIE, was awarded the International Reading Association’s Children’s Book Award. Ms. Lowry now divides her time between Cambridge and an 1840s farmhouse in Maine. To learn more about Lois Lowry, see her website. CLICK HERE FOR MORE FICTION BY LOIS LOWRY. 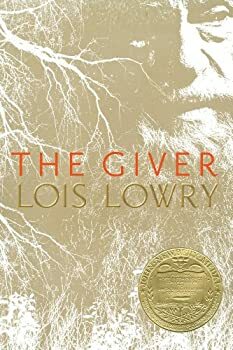 Giver — (1993-2012) Publisher: Jonas’s world is perfect. Everything is under control. There is no war or fear of pain. There are no choices. Every person is assigned a role in the community. Jonas lives in a seemingly ideal world. When Jonas turns 12 he is singled out to receive special training from The Giver. The Giver alone holds the memories of the true pain and pleasure of life. Not until he is given his life assignment as the Receiver does Jonas begin to understand the dark secrets behind this fragile community. Now, it is time for Jonas to receive the truth. There is no turning back. 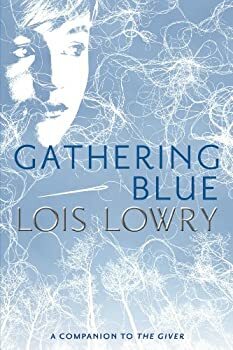 Gathering Blue by Lois Lowry is the loosely linked sequel to The Giver. Set in the same world, this story is set in another village that has survived post-apocalyptic collapse of larger society. Instead of the peaceful, well-ordered, cooperative world that characterized the first book, Gathering Blue is set in a dirty, hardscrabble village, where violence and betrayal are commonplace. 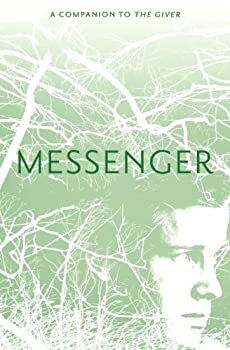 The book flap describes Messenger by Lois Lowry thusly: “For the past six years, Matty has lived in Village and flourished under the guidance of Seer, a blind man, known for his special sight. Village was a place that welcomed newcomers, but something sinister has seeped into Village and the people have voted to close it to outsiders. Matty has been invaluable as a messenger. Now he must make one last journey through the treacherous forest with his only weapon, a power he unexpectedly discovers within himself.” Do you want to know why I used the book flap description for the first time ever? Because I don’t trust myself not to get all snarktastic just describing the book. Warning: Review is going to be snarktastic. 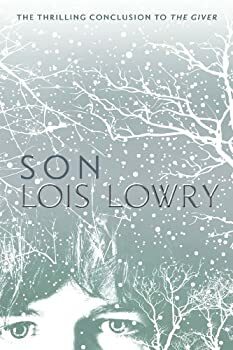 Son by Lois Lowry is the fourth and final book in THE GIVER series. I’ve had serious problems with previous installments in this series, and unfortunately this book does little to nothing to resolve those problems. My main issues have been that there is no source or explanation given for the mystical gifts that very few of the people possess, and that there is no explanation for the evil force that pervaded Forest in the last book.